EAGLE LAKE — An attorney who has drawn national attention for filing questionable civil lawsuits in federal court has dismissed four lawsuits he filed on behalf of a North Mankato woman and a Mankato man who are visually impaired. Paul Hansmeier, a Minneapolis attorney, has filed the lawsuits naming Lily Poss and Flint Million as plaintiffs and four Minnesota businesses as defendants. 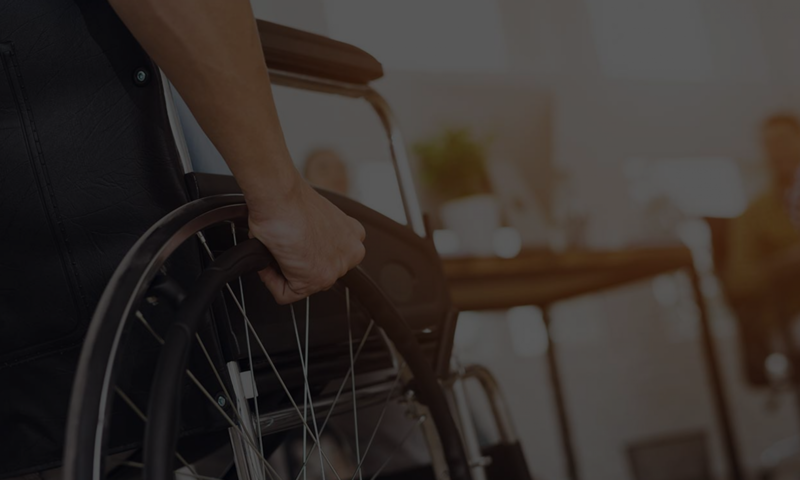 The lawsuits, two in each of his clients’ names, claimed the businesses were violating the Americans with Disabilities Act (ADA) by not making their websites accessible to people who are visually impaired. Poss and Million use special equipment and programs that describe websites to them. The one lawsuit filed against an area business, Eagle Lake Family Dentistry, was dismissed Monday. That case and a lawsuit against Bancwest Investment Services name Poss as the plaintiff. Poss said Nov. 8 that she didn’t know that cases against Bancwest and Family Dentistry had been filed by Hansmeier. The Bancwest case was dismissed Nov. 11. Attorneys representing Family Dentistry filed a motion to dismiss that lawsuit Oct. 28, the same day it was moved from Blue Earth County District Court to federal court. The motion also asked a federal judge to award attorneys’ fees to the business. That portion of the motion accused Hansmeier of abusing the legal system and using “shakedown” tactics because Poss never intended to be a patient at the business. When Poss was interviewed by The Free Press after the motion was filed, she said Hansmeier and his associates provided her with a list of Minnesota business websites to check and Family Dentistry happened to be on one of those lists. “Here, Plaintiff does not allege that she ever patronized Eagle Lake (Family Dentistry) and she alleges no intention to do so in the future,” the written motion says. “Plaintiff lacks standing, and her complaint fails to state a claim for relief upon which relief can be granted. If Plaintiff’s complaint is dismissed, Eagle Lake will be the prevailing party and entitled to an award of attorneys’ fees under the ADA. Business owners are often quick to dismiss ADA claims as being frivolous. So this story is interesting because it does demonstrate that sometimes ADA cases are brought against businesses in order to make money. However, while it would be better not to be sued at all, why invite your own customers to sue you for bad service? Compliancy still remains the answer.